By this point in the 2018-19 season, it is clear that the Cleveland Cavaliers are looking towards the future. They’re not looking to make the playoffs this season, next season, or even maybe the season after that. They seem to be determined to build a young core that can not only grow together, but succeed together. Seemingly, the first piece of that young core is rookie point guard Collin Sexton. 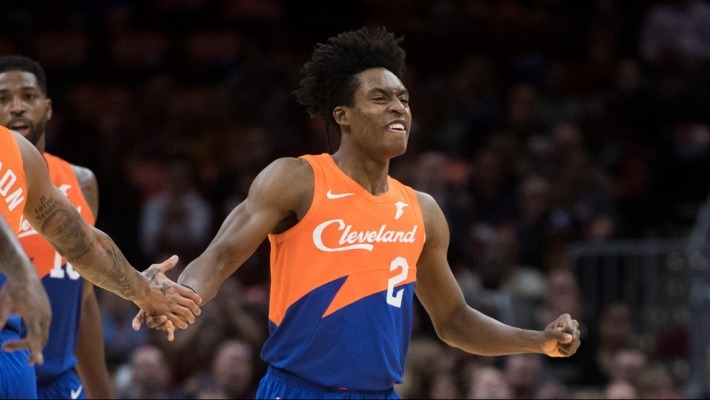 He is already beloved by the Cavaliers faithful, is showing improvement as the season progresses, and looks to have the attitude and determination necessary to succeed in the NBA. Until recently, it had seemed likely that the next piece of that puzzle would arrive in Cleveland following the 2019 NBA Draft. According to recent reports, however, it seems the Cavs are interested in former first overall draft pick Markelle Fultz. While the start to his NBA career has been about as rocky as it can be, there are clear reasons why trading for Fultz would be a great idea for the Cavs. At the moment, Fultz is the center of attention on a team that could very well be headed to an Eastern Conference championship. Once they traded for All-Star Jimmy Butler, it became clear that Philadelphia 76ers general manager Elton Brand and head coach Brett Brown were ready to kill “the process” and move into win-now mode. Fultz has no place on a win-now team. 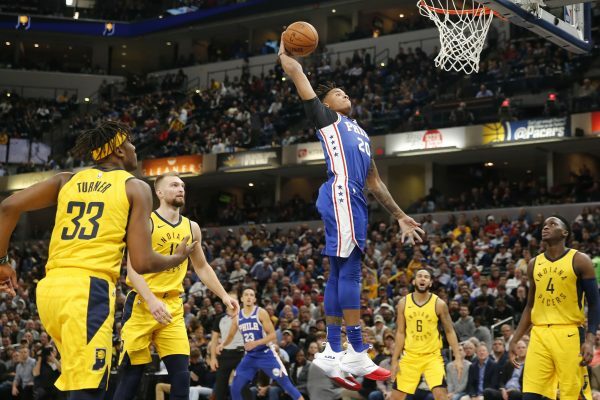 It is clear that he has struggled with the spotlight shining directly on him, and as the 76ers continue to get closer to a high seed in the Eastern Conference playoff bracket, that spotlight will only begin to shine brighter. For a player that is clearly struggling with the mental demands of NBA stardom, being the main talking point on a team with players such as Butler, Joel Embiid, and Ben Simmons has likely only magnified the issue. Pair all that with the fact that ruthless Philadelphia sports fans have been known to sarcastically applaud when the former No. 1 overall pick makes a free throw, and it becomes abundantly clear that Fultz will most likely never succeed in Philadelphia. If Fultz were to be traded to the Cleveland, however, many of those issues would disappear. In Cleveland, all of the attention and press coverage would mostly go away. Now that LeBron James is playing in Los Angeles, the media circus that used to follow the Cavs from city to city has alleviated. In Cleveland, Fultz would get the new start he needs. He would be able to rehab both his body and mind in peace, and his development would not seem nearly as stunted with the Cavs as it has been in Philadelphia, where he is constantly being compared to the phenom youngsters that are Embiid and Simmons. In Cleveland, Fultz would be able to struggle, try new things out, succeed, and everything in between without being weighed down by the magnifying glass that he’s currently operating under. With rookie point guard Sexton busting onto the scene as of late, some fans may be wondering if Fultz coming to Cleveland would impact Sexton’s progression. In truth, Fultz would in no way challenge Sexton’s current position as the most important member of the Cavs’ young core. In fact, Fultz and Sexton could actually complement each other’s game in some interesting ways. First off, Fultz could act as Sexton’s primary backup at the point guard position if necessary. This would become even more likely if the Cavs end up trading veteran guard George Hill, as many expect them to do. 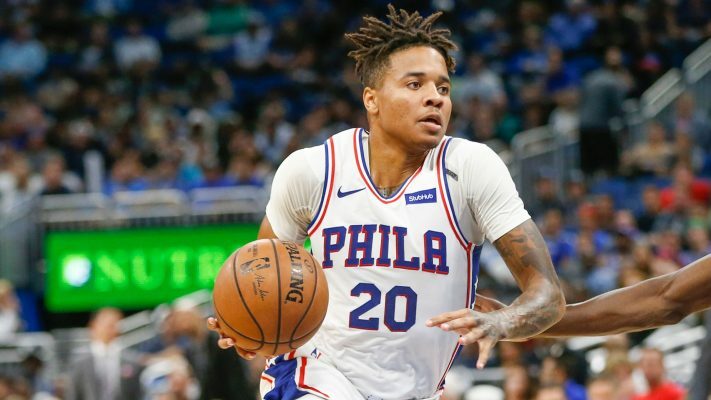 With Fultz in a backup guard role, he could truly have free rein of trying to get back the skills that he has seemingly lost since becoming a pro. Fultz shot 47.6 percent from the field and 41.3 percent from beyond that arc while at the University of Washington. As the point guard of the Cavs’ second unit, he could test out his shot and try to return to form with very little pressure on his shoulders. Beyond that, Sexton and Fultz could complement each other while both on the court as well. Despite his 6-foot-4 frame, Fultz can play at both the point and shooting guard positions. With Sexton’s improving shot from deep, he could also help spread the court for Fultz, giving the former No. 1 overall pick more lanes to drive to the basket. This symbiosis at the backcourt positions does rely on Fultz managing to regain the form that made him the No. 1 overall pick just 18 months ago. While that is not guaranteed in anyway, if he were able to do that, the Cavs would arguably have one of the most dynamic young backcourts in the NBA.